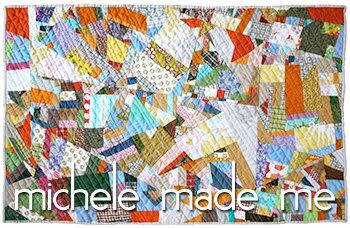 michele made me: Well I'm Free... Free Motion Quilting! 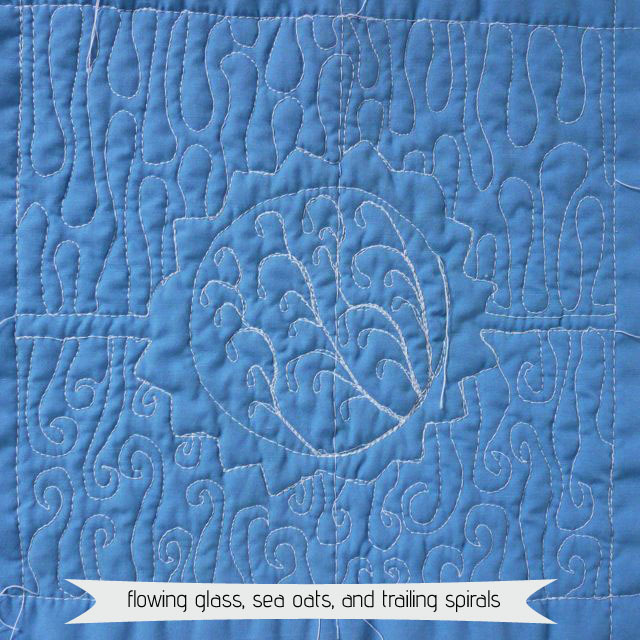 Well I'm Free... Free Motion Quilting! I've got some sweet free-motion quilting (FMQ) plans for my Dresden placemats and also for the Craftsy BOM quilt. But before I put needle to placemat or quilt I thought I'd bone up with some FMQ practice. Are you familiar with the unstoppable Leah Day of The Free-Motion Quilting Project? 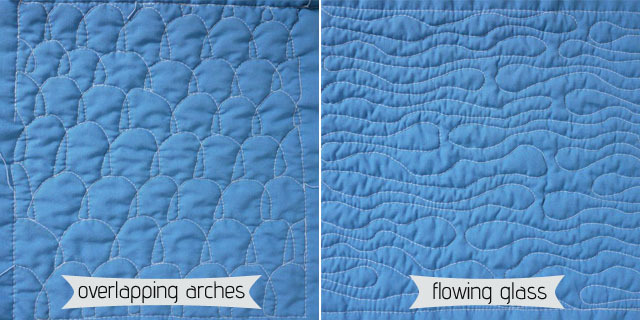 She shares a million and one free-motion quilting designs in video format! She's amazing, this young woman. 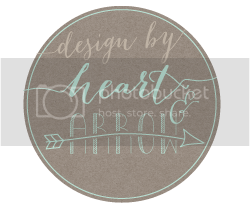 I've been skulking around her site and taking a look at the various patterns she's created. The other day I started practicing with a freshly lubricated Betty, my old White sewing machine. I've attempted several of Leah's FMQ beginner patterns with mixed results. But ain't that the beauty of playing and learning? No worries if you mess up right? I'm still learning how to use my machine in this new way, how to move my hands, control the speed and direction of sewing, and let my shoulders relax with the motion. It is tricky. But so far I've tried: Flowing Glass, Mario Vine, Trailing Spirals, Overlapping Arches, Sea Oats, Woven Lines, and Wave Chain. I think my favourite of the batch is Flowing Glass. So pretty and easy to execute even for a beginner. The rest will need more practice, but you know what? It's darn fun! And what about you? Are you trying anything new lately? They all are amazing! I am going to start making a King size quilt, something I have never done before. I like the trailing spirals! They are fantastic! I am not making or trying anything new, although I would love to return to my clay. Haven't worked with it for ages! Good for you!FMQ is not easy but does get better with practice. I like the flowing glass pattern best too. I think I might try it next time I do some FMQ. I found the more random designs easier to master than straight lines. It's looking great! I found that my skills improved exponentially the more I practiced. Finding a motif you really enjoy doing certainly helps too - nicely done! Good work! You are so patient! I think I'll learn that in another life! But I admit, watching Leah quilt is like watching water or a fire burning. Very relaxing! Love all the different patterns! 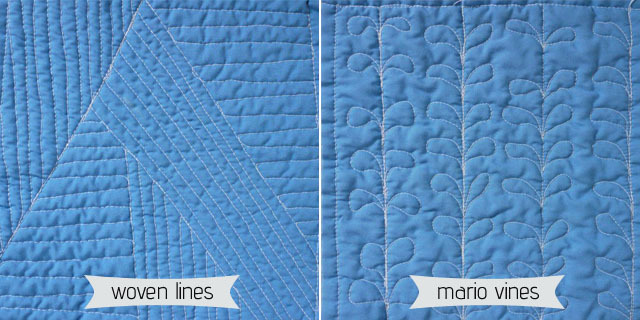 I've only tried FMQ once, at sewing class, and I never thought about doing other patterns... suddenly I have the urge to quilt! 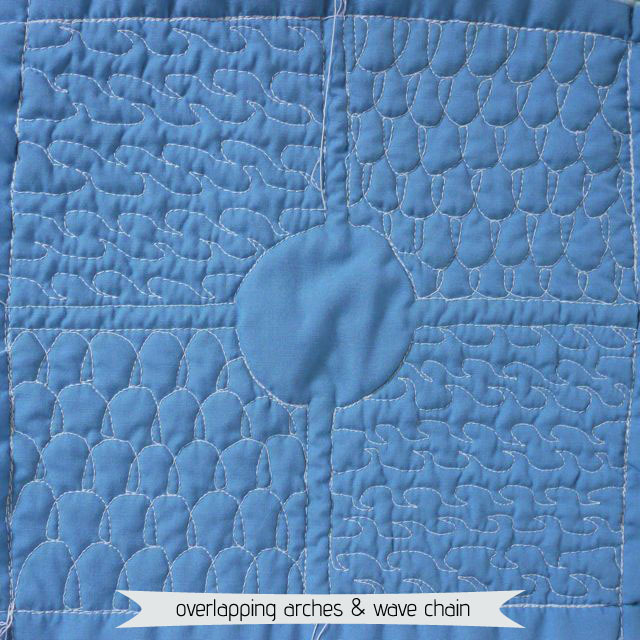 Without a quilting machine? You are amazing!! Anything new besides knitting and crocheting? I am expanding my bread making skills from artisan loaves for eating with meals (my husband loves to sop with bread) to loaves that we are cutting up to make our sandwiches - we are trying to move away from buying any bread at all from the stores. I've wanted to for a long time but my husband wasn't up for it. Now he is the one pushing it (love when that happens). I admire your determination. I would love to learn how to free motion quilt, but so far have not been able to put the time into practicing. Your samples look great! Lately I’m practising in finishing projects. A very hard thing for me to do! I've been wanting to learn how to do that without knowing what it was called. 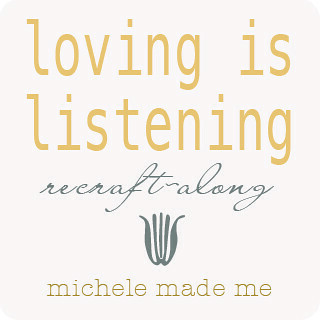 Thanks so much for posting about it, Michele. There are so many cool patterns! Wonderful!